I really enjoyed the challenge of finding things I would want to give for under $10, but during the process I came across so many other things that were a bit more expensive! Here are my favorite under $30 picks. 1. Crushed Glitter Magic Wallet at J.Crew, $16.50 - In both silver and gold, the magic wallet is the perfect choice for the itty-bitty clutch. Just enough room for your ID, a few credit cards and a little cash. 2. Paint-By-Number Dessert Plate at Anthropologie, $12 each - The bright colors and playful motif make these plates really stand out. They come in six different designs and I suspect you'll want them all. 4. Gap Icon Gift Set at Gap, $18.50 - Perfume and body lotion with a matching cosmetic bag in one of the classic Gap fragrances. 5. Wine Color Earrings at Klara Design Jewelry, $22 - Handmade earrings with crystal beads are subtle in their eggplant color, but so full of shimmer. 6. Mixed Stitch Scarf at Urban Outfitters, $28 - Who doesn't have a black wool coat that could use a shock of electric blue? And check out the dimensions - 72" x 26" - this scarf is massive, so you know it will keep you super warm. 7. PostSecret Hard Cover Book at Amazon, $15.65 - Comprised of submissions to the popular website, PostSecret is a collection of people's most private thoughts, written on postcards, and then published with anonymity. A mix of dark and beautiful, it's so intriguing to be in on someone else's secret. 8. Faux the Love of Sparkle Necklace at Mod Cloth, $30 - This necklace certainly makes a statement. A big sparkly one, and nothing says 'holidays' like sparkle. 9. Coaster Skirts at Pier 1, $13 - These clever coasters can actually be slipped on to the bottom of stemware, so you won't have to worry about your guests forgetting to use them. The set includes six different colors, so they are also a convenient way to remember which glass is yours. 10. Little Birch Jewelry Stand at Urban Outfitters, $28 - I love this little tree. Even without using it to display jewelry it makes a lovely addition to a room. I only hang bird and leaf jewelry on mine, because I'm silly like that. 11. Penguin Cocktail Shaker at Pier 1, $25 - What is better than a functional device disguised as a cute animal? I love the scarf and the penguin! I have all the PostSecret books except the newest- they're really amazing. That sparkly wallet is so fab! 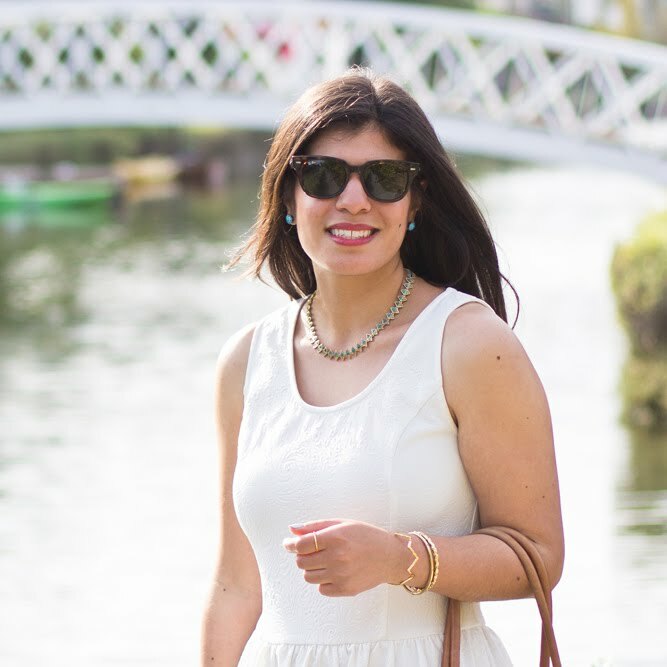 And I totally blogged about that bow necklace a bit back. Isn't it just gorgeous??? the USB key was on my boyfriend's gift guide as well! 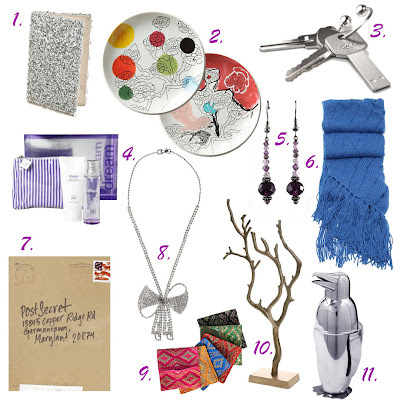 The penguin is adorable and I love this affordable gift guide! Great list! I keep looking at the J.Crew magic wallet. What can I say? Sparkles win me over.